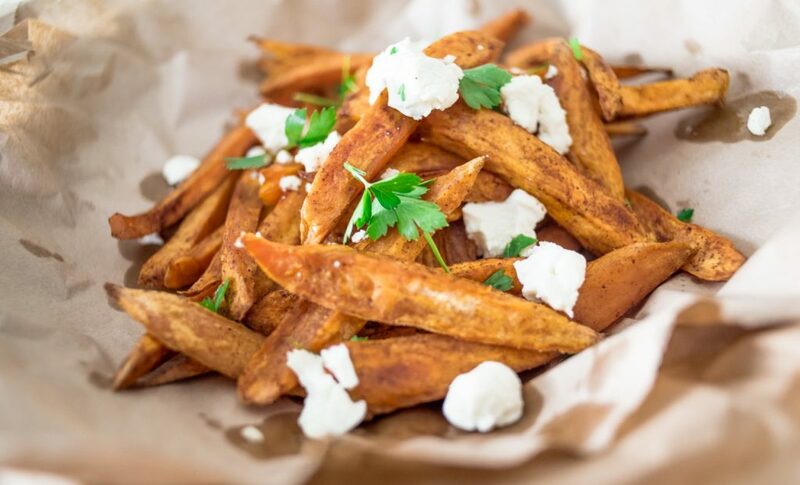 But don’t despair sweet potato fry lovers, I’ve got a healthy version for you that is just as good (maybe even better*)! 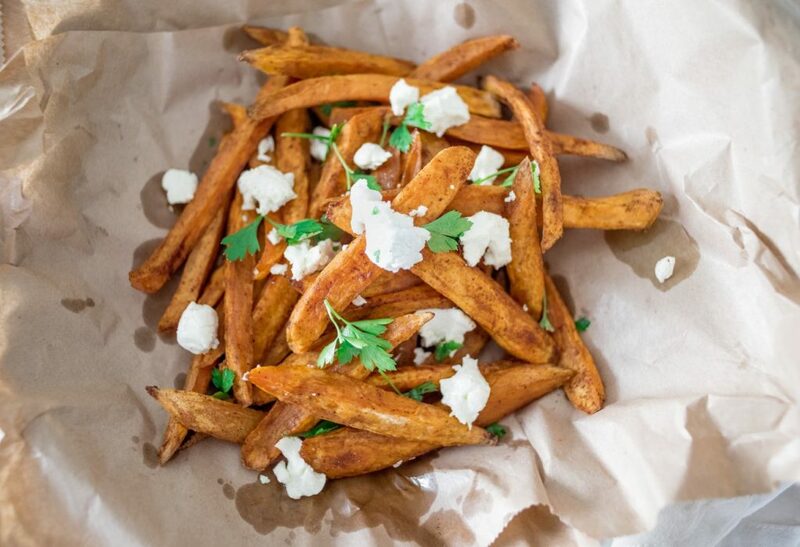 Tossed in extra virgin olive oil and lightly spiced before being baked and topped with goat’s cheese, these fries aren’t just a whole lot tastier than your usual sweet potato fry, they also totally belong in the ‘everyday food’ category! Put sweet potato into a large bowl and pour over oil. Sprinkle over spices and salt and toss well to coat evenly. 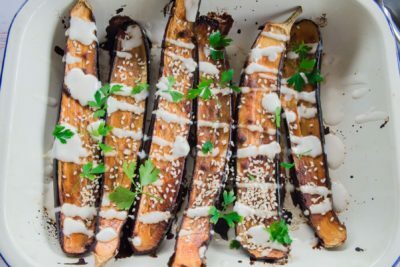 Transfer to a large oven tray and bake for 20-25 minutes or until golden brown. Sprinkle with goats cheese and bake for a further 3-4 minutes until cheese is soft.